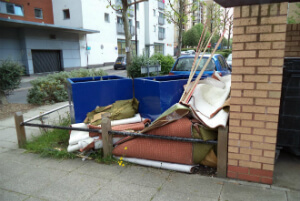 Industrial & Residential Rubbish Removal Southwark SE | Quality Property Care Ltd.
We’ve performed in Southwark SE for 10 years now and are certain our crew can support you with your expert commercial or domestic junk removal. Contact 020 3746 4287 for the best rubbish removal in the place and get your money’s worth every time. Whatever you want cleared out and removed, you can depend on the experienced, trained and vetted staff of Quality Property Care Ltd. to collect the rubbish, and take care of the disposal of different types of rubbish securely and according to all polices at a great rate. After you get the primary price estimate and book a visit, the rubbish removal operators will come to the spot, and determine the actual price in accordance to the specific quantity, volume and type of the stuff or other waste you need to get rid of and dispose of. The waste will be packed, shipped and disposed of in accordance to all rules for green waste disposal. For homeowners we can support any dimension of rubbish removal, from a few boxes and packages to a big load of trash. All of the materials we remove of will be driven to the closest location for recycle, with all of the charges and fees covering not only our work but also any fees that apply to the proper disposal of the waste and materials. It is prefered that your rubbish and junk are all package up, but, we can cope with that as well. We can eliminate single mattresses, tables, dryers, TVs, kitchen units,, 3 seater sofas, armchairs, double mattresses, 2 seater sofas, , ovens, microwaves, king sized bed, microwaves, divan beds, washing machines, cupboards, PC monitors, mirrors, wardrobes, books shelves, bathtubs, carpets freezers, TV stands, single beds and much more. Items like fridges and fridge doors, TVs, microwaves, tires, air conditioners, and such need additional fees for suitable disposal. We can remove both household and industrial construction materials from sights, starting with timber, wood, metals, plastic, glass,cement, concrete, rubble, soil, bricks, plasterboards, tiles and ceramics. Here we charge by weight for construction elements with the most common materials being cement, rubble, timber, and soil. Once you book your onsite meeting, one or more rubbish collection technicians will come at the spot which needs to be cleaned, or where the rubbish will be received. Based on the type, volume and condition of the waste which needs to be collected, the pros make an estimate. The client is not required to agree with the offer. In case the rate complies with him or her, the rubbish clearance and rubbish collection begins. The technicians from Quality Property Care Ltd. collect the rubbish and transport it, gardening waste or any other type of trash to the most appropriate and nearest recycling hub or dumpster. The worthless trash will not disappear by itself, but will only get more and more! So cope with it once and for all without even sweating. Make a booking for junk removal services in Southwark SE now! Use the online booking form and finish your booking in no time. Call our helpful agents on 020 3746 4287 phone number now! We will restore the order and the cleanliness in your home as soon as possible and at fraction of the price tag!